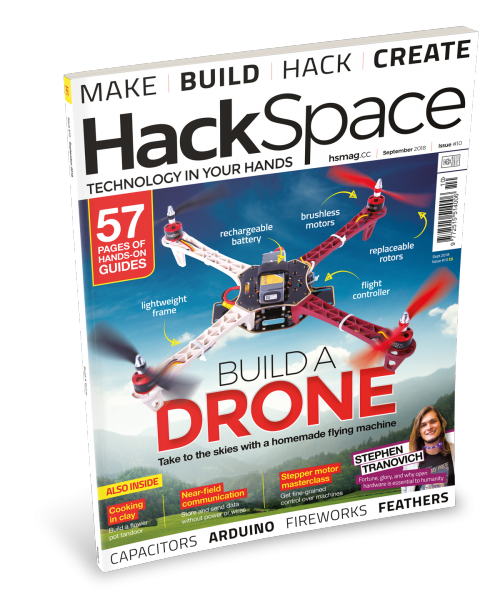 If you’re a subscriber to HackSpace magazine you’ll already know all about issue 10. For the rest of you who’ve yet to subscribe, issue 10 is out today! Ever since Icarus flew too close to the sun, man has dreamed of flight. 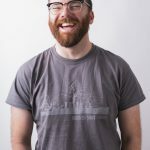 Thanks to brushless motors, cheaper batteries than ever before, and smaller, more powerful microcontrollers, pretty much anyone with the right know-how can build their own drone. Discover the crucial steps you need to get right; find the right motors, propellers, and chassis; then get out there while the weather is still good and soar like a PCB eagle. 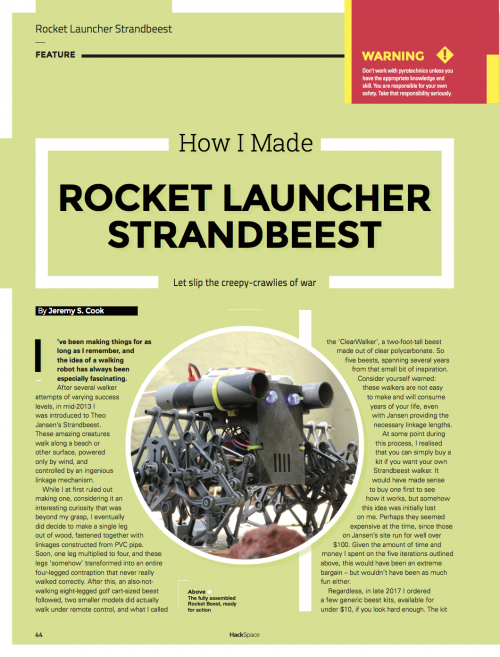 If you prefer to keep your remote-controlled vehicles on the ground, we have an inspiring tale of how one maker combined a miniature strandbeest with our other great obsession (fire, obviously) to create a unique firework launcher. Guy Fawkes would surely be pleased. In less frivolous project news, we’re reporting from the Okavango Delta in Botswana, where open hardware, open data, and the hard work of volunteers are giving ecologists more information about this essential wetland region. 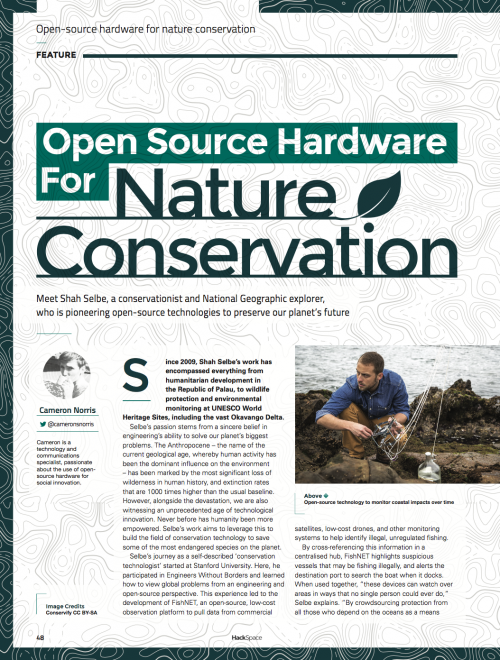 Makers are bringing science out of labs and classrooms, and putting it into the hands of citizen scientists who want to understand and protect their local environment – that’s something we should be proud of. The Hackaday Prize: the Academy Awards of open hardware. Enter your project today and you stand a chance of winning $50,000. 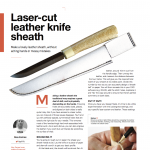 The competition is fierce, so before you do, read our interview with Stephen Tranovich. 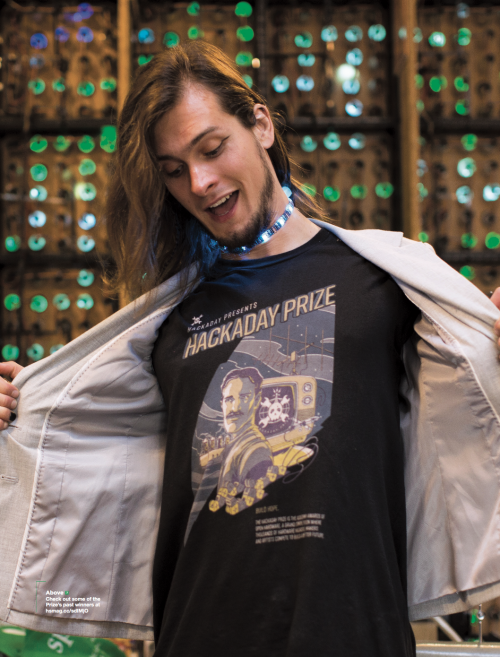 Stephen is the Technical Community Lead at the Hackaday Prize and decides who gets the chance to win the glittering prizes. Learn from their words! 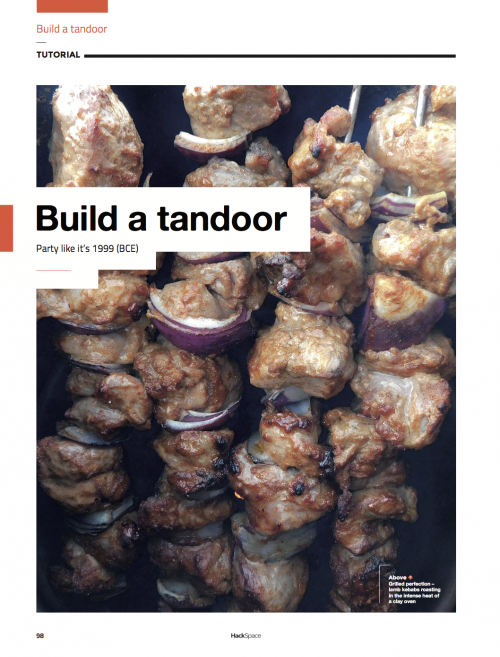 Our editor Ben loves to eat, so this month he’s been eating lamb kebabs cooked in his home-made tandoor. This ancient cooking method is used all over the Indian subcontinent, and imparts a unique flavour with its combination of heat and steam. Best of all, you can make your own tandoor oven with a Dremel and a few plant pots. 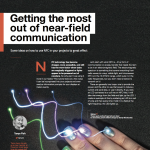 Add push notifications to your letterbox (so your dog doesn’t eat your new passport), write a game for an Arduino, add a recharging pocket to a bag so you can Instagram on the go, and learn everything there is to know about capacitors. 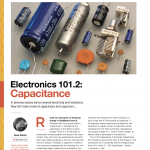 All this and more, in HackSpace magazine issue 10! 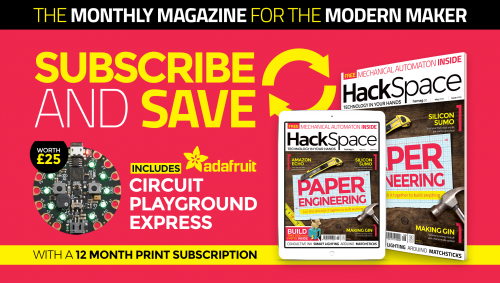 Oh, and twelve-month print subscribers get an Adafruit Circuit Playground Express loaded with inputs and sensors and ready for your next project. Tempted?